This page gives a short overview of XSLT and XPath, and also explains the difference between XPath, XSLT, XQuery and XSL-FO. The specifications are developed by the XSLT Working Group [Member-only admin page]. 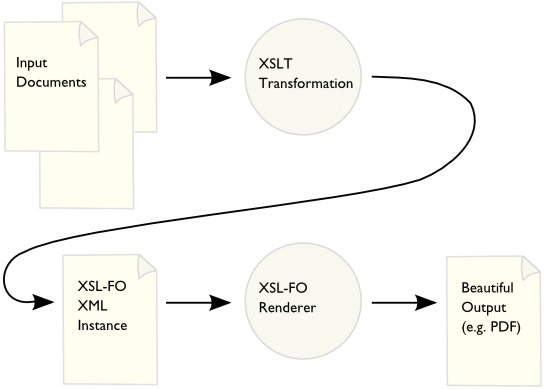 XSLT and XSL-FO are W3C Recommendations for defining XML document transformation and presentation. Use XSLT to transform documents into XSL-FO for printing or viewing; you can also use XSLT as a general XML-aware programming and transformation language, and you can use XSL-FO directly without XSLT. XSL-FO is described further on the page on publishing. XSL Transformations (XSLT 2.0) is a language for transforming XML documents into other XML documents, text documents or HTML documents. You might want to format a chapter of a book using XSL-FO, or you might want to take a database query and format it as HTML. XSLT has become the language of choice for a very wide range of XML applications. It is of course still used to produce XSL-FO documents for printing, but it is also used to integrate back-end software for Web sites. You will find XSLT (version 1) inside most modern Web browsers, so that XML can be transformed on the fly without the user even noticing; you will find XSLT on the desktop, in servers, in network appliances, and forming a basic and dependable part of computer infrastructure almost everywhere you look. What is XSLT Used For? If you make a purchase on eBay, or buy a book at Amazon, chances are that pretty much everything you see on every Web page has been processed with XSLT. Use XSLT to process multiple XML documents and to produce any combination of text, HTML and XML output. XSLT support is shipped with all major computer operating systems today, as well as being built in to all major Web browsers. 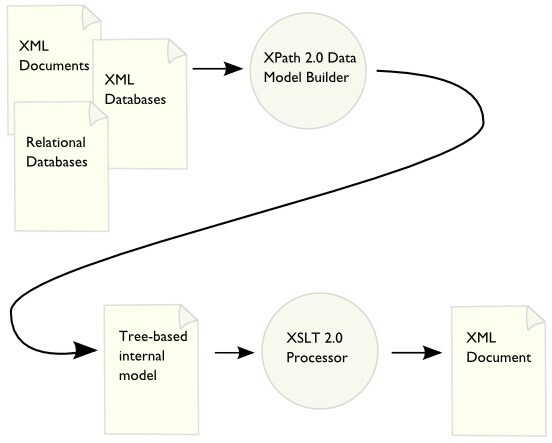 XPath is a simple language for identifying parts of an XML document that are of interest. It is used by XSLT, and also by XLink; it is extended considerably by XQuery.